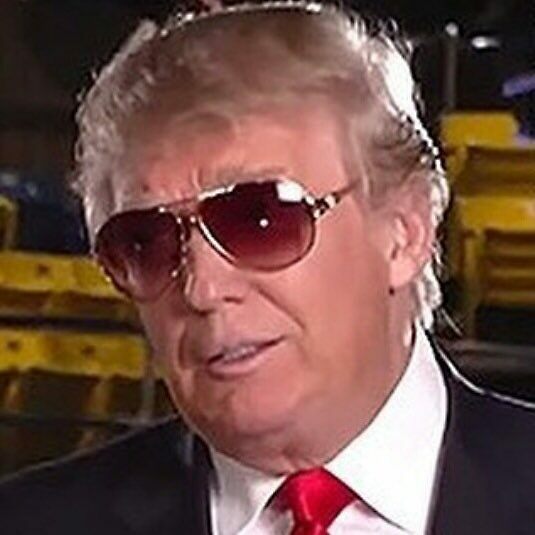 Born To Run The Numbers: BTRTN: Donald Trump, Blind Squirrel? Tom with the BTRTN April 2018 Month in Review. One month ago, we speculated that Trump was turning from domestic affairs to the global front, driven by a stalled legislative agenda and signaled by major personnel shake-ups (more than usual, which is saying a great deal) with the arrival of “enablers” Pompeo, Bolton and Kudlow. Having failed to secure any meaningful legislative wins -- even the tax cut failed to catch fire and is looking like a campaign dud – the time was right for Trump to seek his wins elsewhere, and global affairs, we noted, offer presidents far more room to maneuver than the partisan trench warfare of legislative politics. That turned out to be an exceedingly accurate prediction. April was a massive month, featuring historic movement along traditional international fault lines, particularly the peace efforts in the Koreas, but also the potential trade war with China, the Syrian gassing of its citizens in the wake of Trump’s announced desire to depart the war-torn country “immediately,” and the potential withdrawal from the Iran nuclear deal. And it was consequential domestically as well, with the opening of a second legal front that could threaten the Trump presidency. It is worth noting that we are at the very beginning of the hairpin turn in North Korea, with much steering to go in navigating Kim Jong-un’s self-defined path from newly-minted nuclear power to de-nuked friendly neighbor. History will debate how much credit Trump deserves if this transformation actually occurs. But while correlation does not necessarily mean causation, Trump’s hand in ratcheting up sanctions certainly has played a role in where we are today; the value of his bellicose (“I too have a nuclear button…a much bigger and more powerful one than his”) thundering from last fall is more debatable. The two principals themselves, though, South Korean President Moon and Kim Jong-un, have shown remarkable agility on the world stage and have largely brought on this moment themselves. Kim pursued his nuclear program relentlessly and strategically, and arguably reached his U-turn moment only when his leverage was maximized – once his testing program successfully established the clear and present danger of North Korea’s nascent nuclear capability. This moment might have been reached under a different U.S. president with the same outcome. For his part, Moon campaigned on reconciling with the North (and was mocked by Trump as being an “appeaser”) and has potentially brought about the end of the Korean War deftly and without much help from either the U.S. or China. Trump now heads to his summit with Kim Jong-un with but one goal – to de-nuclearize North Korea. Anything short of that will certainly be a disappointment, and even if achieved in principal, will set up the arduous task of verification and the possibility of cheating. The negotiations themselves will take months and months, and the outcome could take years to assess. Is this a clear win for Trump in the eyes of the electorate? It is too soon to tell, but early returns are conflicting. Trump’s approval rating, according to Rasmussen’s daily poll, has actually dropped -4 points in the past two weeks as this drama played out in its early stages. On the other hand, Gallup’s weekly poll, published yesterday, showed the exact opposite, a +4-point spike. All in all, it is too soon to tell if these events can shake that 42% approval rating that Trump has been locked in for months. Trump’s lack of strategic vision and strategy, coupled with his penchant for ill-considered blurting, leads him, not surprisingly, into hard-to-reconcile positions, and the Korean events have run smack into two other major developments. One can question (and many do, from Wall Street to Main Street) the wisdom of Trump engaging in a trade war with China on the merits, but it is a particularly difficult battle to wage now that Trump needs China’s strong hand in the Korea dynamic, pressing hard on the sanctions as a means of keeping North Korea in line during the negotiations. And it does not make too much sense to pull out of one major nuclear treaty unilaterally while trying to negotiate another. Kim is already well aware of the “Libya Precedent,” in which Qaddafi gave up his nuclear weapons and found himself on the wrong end of a gun during the Arab Spring. Now he can point to the Iran deal machinations and question yet again the U.S.’s good faith. Not to mention Trump’s withdrawing from the Paris Accords and re-negotiating NAFTA – what do U.S. treaties truly mean anyone, and do they have a shelf-life longer than the current administration? Trump, essentially, is trying to be a globalist while staunchly adhering to his “American First” policy, a needle that he is finding far too narrow to thread. This Global/MAGA conflict is also readily apparent in Syria. Trump offhandedly announced his desire to exit Syria “immediately,” only to see Assad, right on cue, gas his people, testing Trump’s resolve in the region. Trump hemmed and hawed, finally tossed a few bombs for show, walked back the “immediate” withdrawal timetable and left the United States where it is now -- with absolutely no coherent policy in Syria. Judicious assessment of the geopolitical implications of an interlocking and complex world is not, ahem, a strong suit of Trumpworld. Trump manages it largely without the input of experts, unless you count the assorted billionaires and crazies that Trump calls at night, the Fox & Friends crew in the morning and Sean Hannity (on speed dial) as “experts.” The world is chaotic enough even to the most sober analysts, but if it is one thing the world has counted on from the United States in the last century, it is stability. Sadly, those days are gone. Korea may earn Trump his Nobel Prize – anything can happen. As the old saying goes, even a blind squirrel gets that nut occasionally, and Trump may have stumbled onto his in Korea. However Byzantine the international world may be, it has nothing on Trump’s legal woes. Who can even keep track, at this point, of the status of the various tangled (and entangled) Mueller/Cohen/Stormy lawsuits and investigations? Suffice to say, we now know that Mueller has at least 44 questions for Trump, mostly relating to obstruction of justice; the Feds in NYC have Michael Cohen and his Pandora’s Box of tawdry secrets in their sights; and Michael Avenatti, Stormy Daniels’ lawyer, has a Trump-esque genius for keeping his client in the news and Trump on the defensive. At some point, some final truth in the eyes of the law will emerge, and the political calculus will begin. But that seems months away, at least, as of now. We’ll end this April month in review with the ever approaching midterms, and the news of yet another special election, this time in Arizona’s 8th district, which provided yet another consistent marker toward a Blue Wave in November. This ended up being a narrow GOP win (+5 points) in a district Trump won by +21, a result strikingly similar to virtually all the other special elections of 2017 and 2018. This string of “far better than expected” Dem results sits alongside the Dem’s dominance in the generic ballot (below), Trump’s continued abysmal approval rating (also below), the general weakening of GOP gerrymandering, particularly in Pennsylvania, the pace of GOP incumbent retirements (including that of top fundraiser Paul Ryan), the strength of Democratic fundraising (see: Nancy Pelosi breaking her own records handily), and the strength of potential Democratic candidates (see: Tennessee and Texas senatorial challenges) as portents of bad news for the GOP come the fall. Trump is sanguine, according to all reports, believing in his fabled intuition and track record. He has six-plus months to turn the potential bloodbath around. Trump’s approval rating for the month of April was unchanged at 42%. This continues to be the lowest of any president at this stage of his presidency; Trump has held that distinction for every single month since taking office. He has yet to crack the 50% mark, or come close, and he (and the GOP) remain poorly positioned for the mid-terms. The generic ballot for March has the Democrats ahead by +8, up +2 point from March and an extremely healthy lead for the Democrats as we draw ever closer to November. Using our proprietary BTRTN regression model, this lead would suggest a 52-seat pick-up for the Dems in November (if it held), and even accounting for some slippage due to gerrymandering, the Dems remain the favorites to retake control of the House. The “Trumpometer” declined from +14 to +7 in the last month, as the stock market flattened in volatile tariff-shock trading, gas prices rose and GDP growth fell in the most recent quarter from 2.9% to 2.3% . Consumer confidence and the unemployment rate were both stable as well. The +7 Trumpometer reading means that, on average, our five economic measures are 7% higher than they were at the time of Trump’s Inauguration. I am really very agree with your qualities it is very helpful for look like home. I am sharing nexter.org/ this blog here for more news on daily basis ! !Thanks so much for info and keep it up.